Specialty. Sustainability. Single-origin. Fair pricing. If it weren’t for the trailblazing farming and marketing campaigns that Colombia launched after the turn of the last century, high-end coffee consumers of today may not have such terms to toss around so frequently. Thanks to the efforts of the Colombian Coffee Growers Federation (FNC) and its fictional Juan Valdez character, Colombia has pioneered numerous strategies that have not only shaped the cupping experience for modern connoisseurs across the globe, but have also guaranteed that every drop of its export coffee ranks among the finest (and often most expensive) they can drink. However, only in the past decade or so have tourists expecting to bag retail Colombian coffee in the major urban centers close to its source found anything to email home about. “Most of Colombia's specialty coffee has traditionally been exported because there has been more demand for it abroad, in large part due to the efforts of specialty roasters in North America, Europe and Australia/NZ,” writes Tyler Youngblood, co-founder and CEO of Azahar Coffee, in an email. After many mornings spent at home or hotel choking down cheap coffee imported to meet demand or the commodity “tinto” that doesn’t meet the exacting standards required for export, visitors and locals can finally find cafés serving the nation’s famously balanced, medium-to-high acidity, 100% mild-washed Arabica. “The National Labour Learning Service has been preparing and certificating young Colombian baristas. So now when costumers are consuming coffee, they will find skilled people preparing coffee and using coffee to make special beverages,” says FNC CEO Roberto Velez Vallejo. If you’re heading to Bogotá and want to taste the best in Colombian coffee, here are seven top shops to visit. With 230 locations across Colombia, it would be easy to scoff this off as a corporate chain. But the more than 560,000 Colombian growers who comprise the FNC own this brand, and its shops first taught residents about Italian styles like lattes. The beans reflect the entirety of the coffee-growing region, which, though variable in its mostly volcanic soil and topography across the Andes and Sierra Nevada ranges, clocks in at close to 2,000 meters above sea level and sits within microclimates that enjoy two distinct rainy seasons and avoid extreme temperatures. In 2007, Colombia’s most award-winning hacienda decided to keep some of its highest quality coffee for domestic sale and opened its fourth shop at the beginning of December. 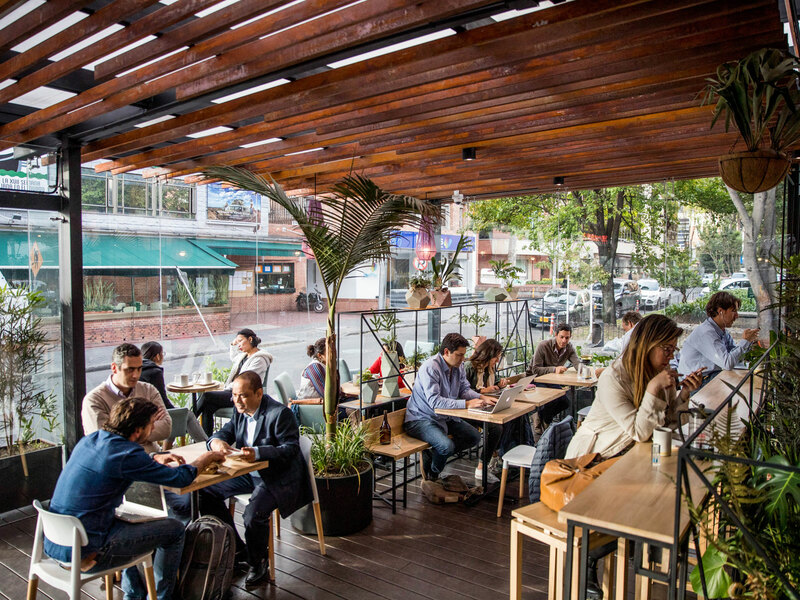 “International visitors are happy to finally take the best Colombian cafe during their visit to the country,” says director Juan Pablo Villota L. In addition to its sale in gourmet groceries, wine boutiques and delis, San Alberto can be purchased in two Bogotá locations. Azahar sources directly from small-to-medium growers, co-ops and associations, paying fixed, stable premiums based on the cost of production rather than the vagaries of the international marketplace. Though it ships worldwide (and encourages visits from producers and clients), it does serve as much locally as possible, roasting beans and serving them from two cafés in Bogota – the flagship described as sunny and “jungley,” the annex, artsy and industrial. Tightly integrated into local farming communities, the café roasts its own beans with profiles and descriptions managers say target “conscious consumers” interested in fair trade and sustainability. Featured single-region and varieties of the month include Sol Naciente, a spicy and floral Sierra Nevada blend, Tolima Volcano, with vanilla and caramel flavors, and Agustino Forest, with notes of tobacco, bourbon and tangerine. Billing itself as the only exclusively farm-to-table coffee roaster in the world, Devoción’s above-fair-trade beans are sourced from “untamed” (AKA mostly inaccessible) regions of Colombia. The most popular blends are the house Toro, which combines notes of chocolate, cherries, vanilla and almonds, and Honey, which of course contains hints of honey, plus orange blossom, caramel, and eucalyptus. Not only can you can experience Devoción’s 1890s-décor café in Bogotá’s Financial District, but back in the States as well, in Brooklyn. Employing what it claims are the most awarded baristas in the nation, the company aims to change the coffee culture in Colombia, eliminating the term “export coffee” and democratizing local coffee knowledge. 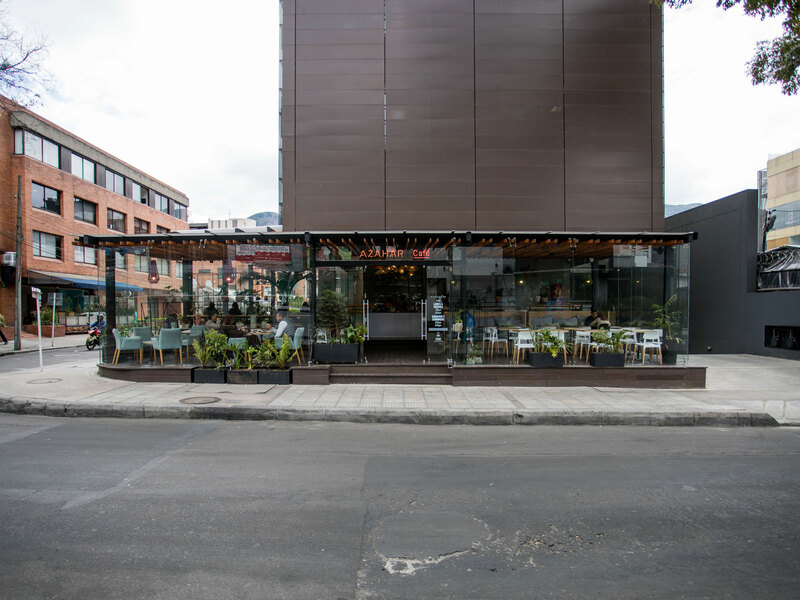 Already supplying coffee to hundreds of restaurants and coffee shops around the country, it only makes sense for Amor Perfecto to have opened multiple shops of its own, including a recent one in Bogotá’s Usaquén district that has a special bonus: an ice cream shop right inside the café, featuring seventeen flavors, heavy on tropical fruit and, of course, coffee. In and outside of its cafés, Catación Pública emphasizes education as a way to appreciate the emotional and sensory experience of Colombian coffee cultivation. Founded by an agronomist engineer who worked with FNC for 15 years, the company also evangelizes about the health benefits of coffee. Among popular blends offered are Genova, a fruity cup with a wine-inspired profile, and Coromoro, a Santander with an aroma of cane sugar and notes of dark chocolate.